The Living Place-Chiang Mai is centrally located on a quiet street in the heart of Chiang Mai, nearby the two markets Warorot Market (local Chinese market) and Night Bazaar. Thapae Gate (Sunday walking street) the entrance to the historic old town is also nearby. The Living Place welcomes all guests to Chiang Mai, Thailand. The hostel is like home , with gallery, cafe and art studio. Very cozy, the staffs are friendly and open minded. The owners are artists and guests can see original paintings over the property. There are different room types, 14-bed dorm, 6-bed dorm, single tent and privte double room to meet guests needs. Free WiFi covers the whole property. At our tours desk you can book excursions like: Trekking or Sightseeing tours, Mountain biking, White water rafting and Zip line trips, Cooking courses and many other activities. Out of Office opening hours a check in PLEASE let me know cause by cause if you arrive late. 4. Booking online only.We not accept reservations by telephone. 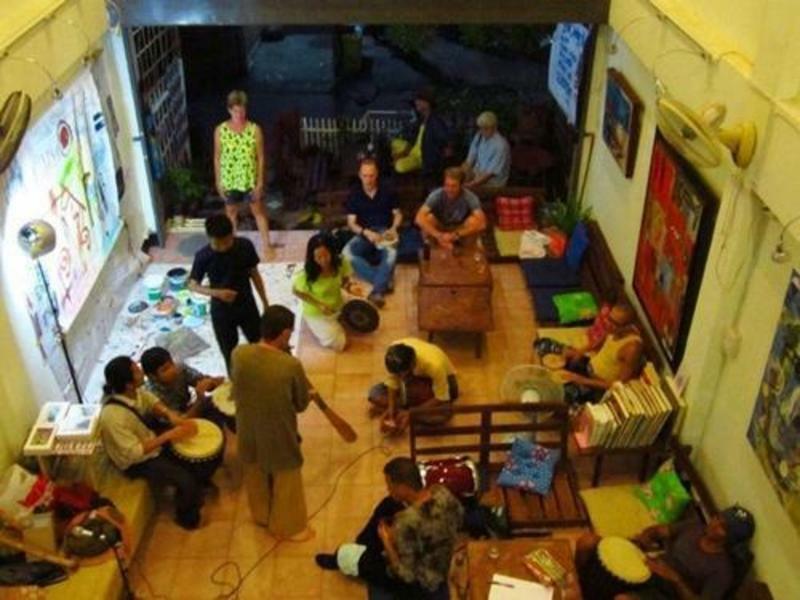 The Guesthouse is centrally located on a quiet street in the heart of Chiang Mai, nearby the two markets Warorot Market (local Chinese market) and Night Bazaar. Thapae Gate (Sunday walking street) the entrance to the historic old town is also nearby. The Living Place is a short 15 minute drive from Chiang Mai International Airport just only 100 baht and 10 minute from both the train and bus stations just 20 baht.